March days are characterized by brilliant colors due to the sun taking a lower path across the sky. March is the beginning of our more popular hiking season. This is the month that the town wakes up and the restaurants open. The days are frequently in the 50’s and the nights are just below freezing. In years of average snow, the snow in the transition Zone is patchy and the snow line is approaching the Canadian Zone. In years of heavier snow, this is the mud month. We still have an occasional harsh weather day with snow and rain. Upper Sonoran Zone – Hiking in the desert and on slickrock is splendid on clear days, the snow is typically gone unless from a recent snow storm. Riparian Zone – Hiking the riparian zones with water crossings may be challenging due to the near freezing water temperatures. Trees are beginning to obtain a green hue due to the swelling of the buds. Recommended hiking — Slickrock Hikes, Rim to River Hikes without water crossings and snowshoeing on the Boulder Mountain Hikes and hiking may be possible within the Transition Zone. 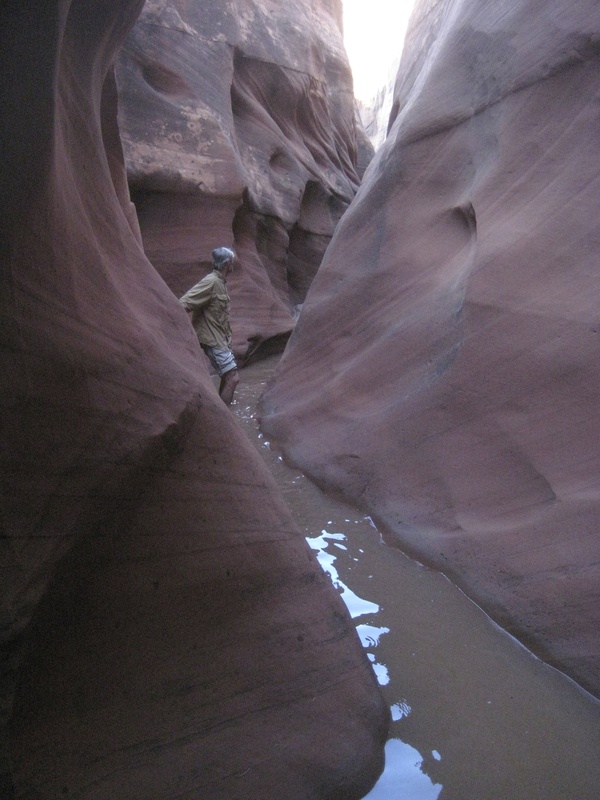 April is an ideal month for hiking in slot canyons. The Temperatures are great and the chances of rain are minimal. 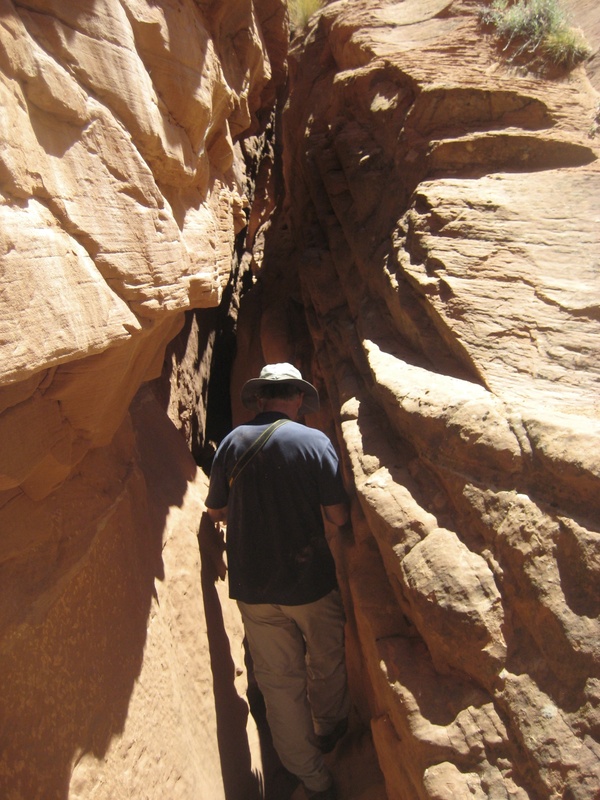 April is one of the best months for hiking in the desert and canyons. Spring hits the canyons first so the cottonwoods and willows will have a beautiful light green hue. By the end of April, spring has arrived throughout most of the Upper Sonoran Zone and part of the Transition Zone. Daytime temperatures are moving closer to 60 degrees and nighttime temperatures are in the mid 30’s. Remember though the harsh weather can happen on any day and in the spring this still means snow and freezing rain. Most days are splendid and the hiking in desert in the month of April is spectacular. The mountain may still have snow but may be more of a snow melt swamp. April is a heavy wind month as the cold air of winter and warm air of summer are battling for control of the region. Upper Sonoran Zone – Hiking in the desert and on slickrock is splendid on clear days. Riparian Zone – Hiking the riparian zones with water crossings is possible since the water temperatures are increasing. Spring arrives in full force in the canyons. Transition Zone – Snowshoes are typically not necessary. Possibly in snow melt. Patches of snow are likely. Canadian Zone – Snow shoes may still be necessary. Possibly in snow melt. Hudsonian Zone – Snow shoes are typically necessary. 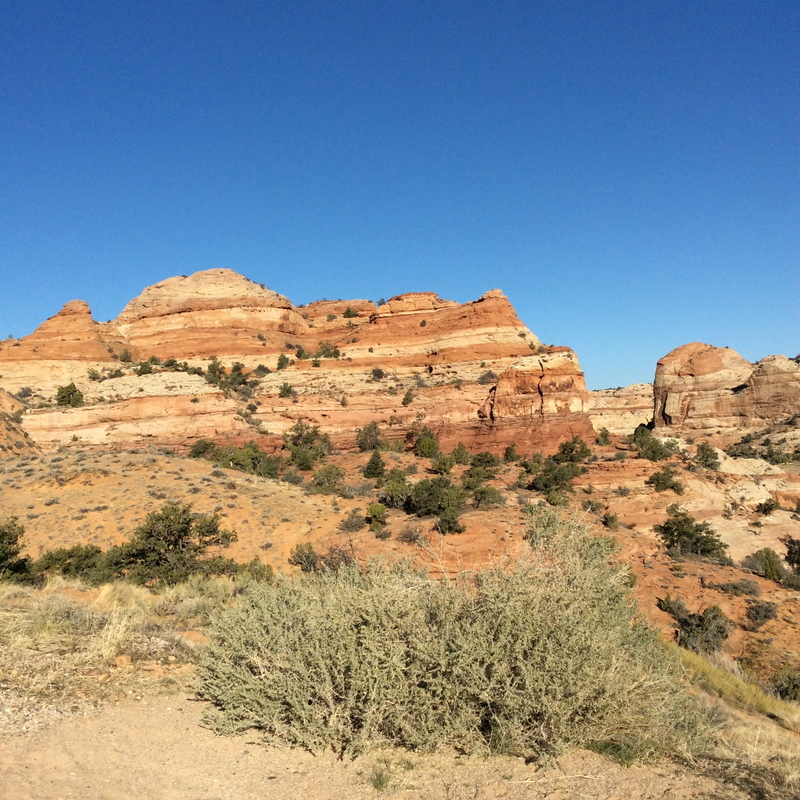 Recommended hiking — Slickrock Hikes, Rim to River Hikes, Riparian Canyon Hikes and Boulder Mountain Hikes within the Transition Zone. Snow shoeing may still be an option in years with heavy snowfall at higher elevations. Hiking the slots in May is great. Even the occasional water pool is comfortable to wade through. This pool is from old snow melt, not flash flood producing rain. May is another good hiking month. Spring is now in full force as high as the Canadian Zone. In heavy snow years even the Canadian Zone might still have large patches of snow with the snow line still within the upper reaches of the Canadian Zone. Daytime temperatures are in the upper 70’s and 80’s and night time temperatures are in the 40’s. Hiking is possible on most of the mountain and all of the desert. We might receive a rare winter storm, however much of May is clear skies. Heavy winds also occur in May, yet not as frequently as in April. Upper Sonoran Zone – Hiking in the desert and on slickrock is splendid, though the temperatures are warming. Riparian Zone – Hiking the riparian zones is splendid. Transition Zone – Hiking in the ponderosas is splendid. Canadian Zone – Snow shoes are typically not necessary. Possibly in snowmelt. Patches of snow are likely. Hudsonian Zone – Snow shoes may be necessary.